Pedro Romero de Terreros, the first Count of Regla, was born in Spain in 1710. When he was twenty-one, his parents sent him to live with an uncle in New Spain and to assume control of the family's businesses. He married the daughter of a wealthy noble family in Mexico City and continued to build on the combined fortunes as a merchant and a mining entrepreneur. From the mid-eighteenth century until his death in 1781, Regla was admired for his philanthropy, the recipients of which included colleges and monasteries and he helped establish a banking institution that enabled both rich and poor to pawn goods for cash. Regla's life also illustrates many of the problems facing Mexico today including struggles in the workplace between those who supply the capital for production and those who supply the labor. 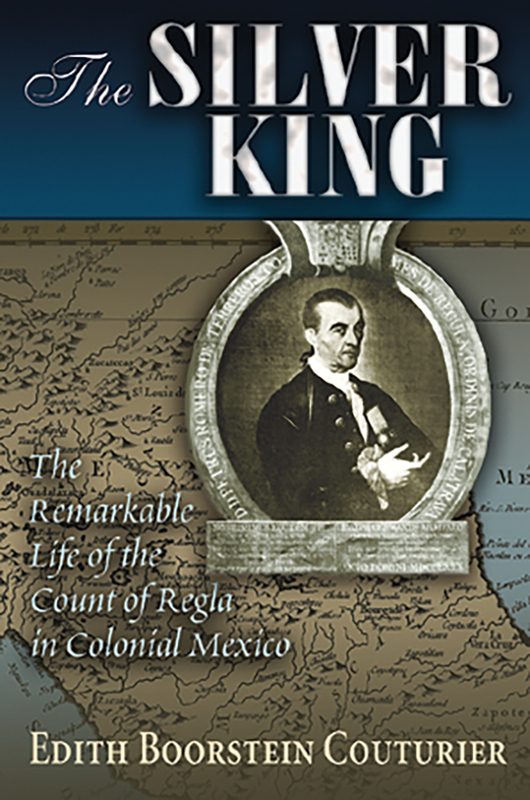 Edith Boorstein Couturier uses Regla's career to address the growing social tensions of the eighteenth century, showing how Spanish immigrants could ascend in Mexican society, how entrepreneurship permitted such social climbing, how women sustained their kinsmen, and how elite families rose and fell in New Spain. Edith Boorstein Couturier holds a Ph.D. in history from Columbia University. She has served as a Program Officer at the National Endowment for the Humanities and has held teaching positions at SUNY, Albany, the University of Maryland, and The American University. She resides in Washington, D.C.